Polish M346 to perform at Radom Airshow for first time. The Polish Air Force celebrates its 100th anniversary this year through a series of events, the main one is surely the Radom International Airshow to take place on August 25-26. According to the official website, the visitors to the show will be able to admire nine aerobatic teams and nine solo demo displays. 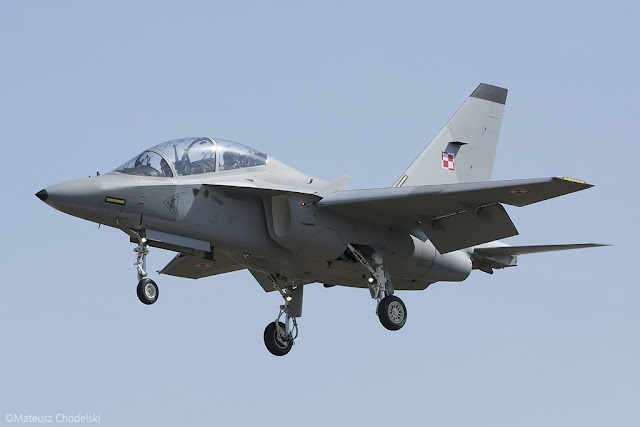 In addition, the audience will see for first time the new advanced jet trainer of the Polish Air Force, the Leonardo M-346 “Bielik”. The Polish instructor pilots will perform four-ship formation flypasts over Radom airport, but the visitors can also see the aircraft up close in the static display. This will mark the first appearance of the M-346 with Polish AF marks at Radom, but not the first performance ever. 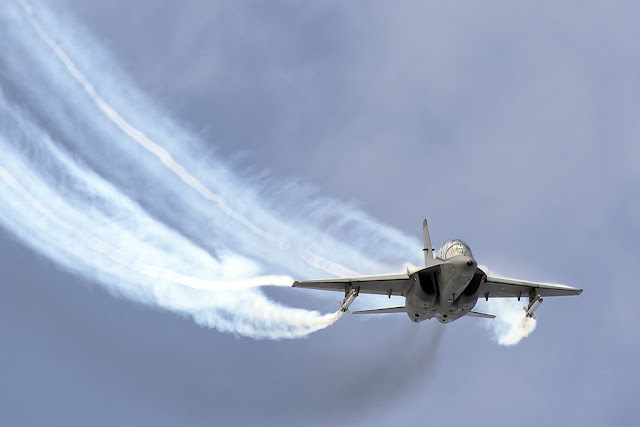 Last year, the Italian aerospace company Leonardo sent a M-346 Master (CSX55225) at the Radom Airshow and the company's test pilot performed an amazing flying display releasing white smokes. The Bielik fleet is based in Deblin Air Force Base, home of the Polish Air Force Academy, and the jets are assigned to the 4th Training Wing Squadron. Poland ordered eight M-346 Masters in 2013 and the deliveries were completed in November 2017. In March 2018, Leonardo and the Armament Inspectorate of the Polish Ministry of National Defense have signed a new contract to supply four additional M-346 Advanced Jet Trainers (AJT) that will join the Polish Air Force’s existing fleet by 2020.